Vimeo video embed module. This module lets you easily and quickly add Vimeo videos to your product pages, home page, left and right column. 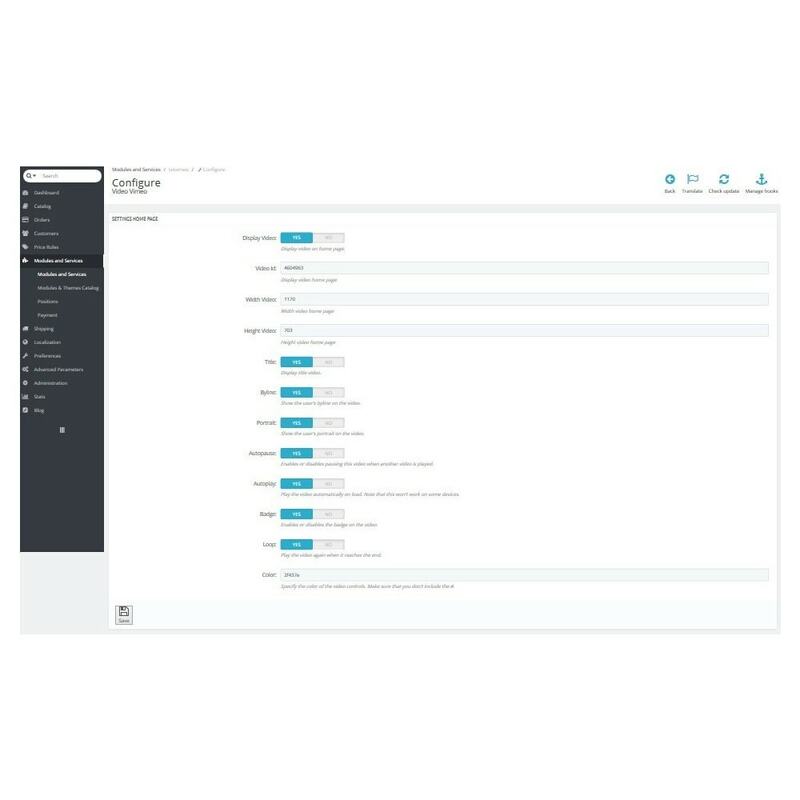 help you change your store, make it more professional and engaging. With this module you give users a better customer experience. 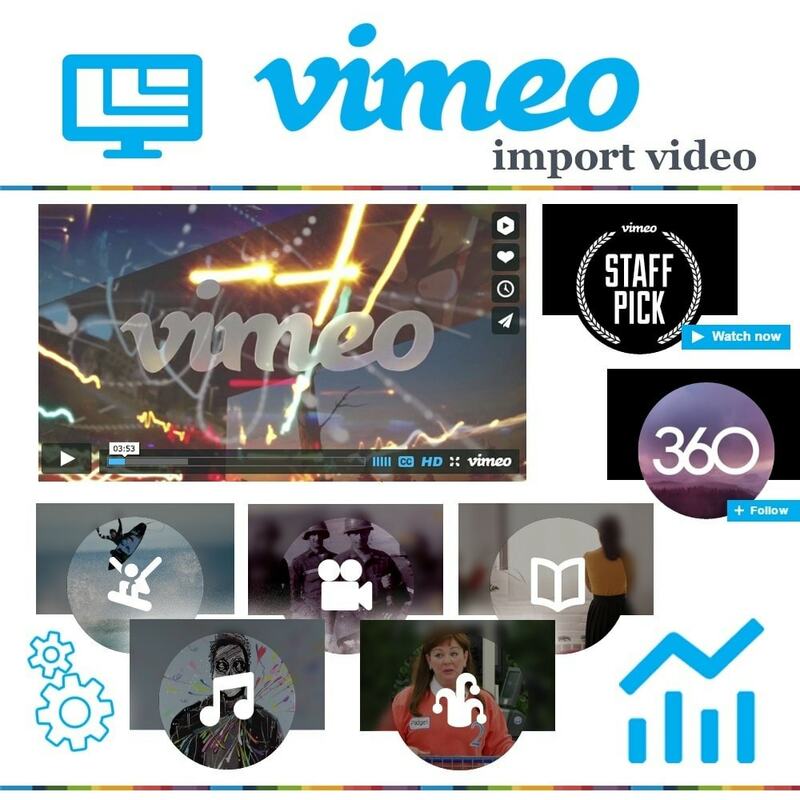 "Responsive Vimeo Video Import" lets you quickly and easily display your most recent Vimeo videos in your store. 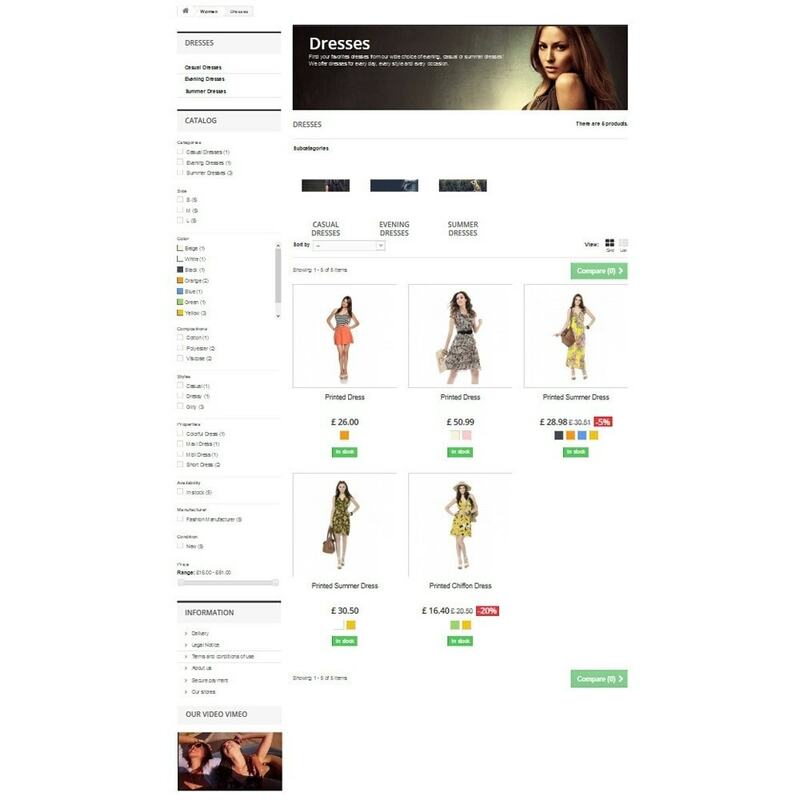 Also this module will get more professional and usability your store. The superior solution of professional video presentations on your store. Prestashop Vimeo fully mobile devices responsive, a must for any professional store. 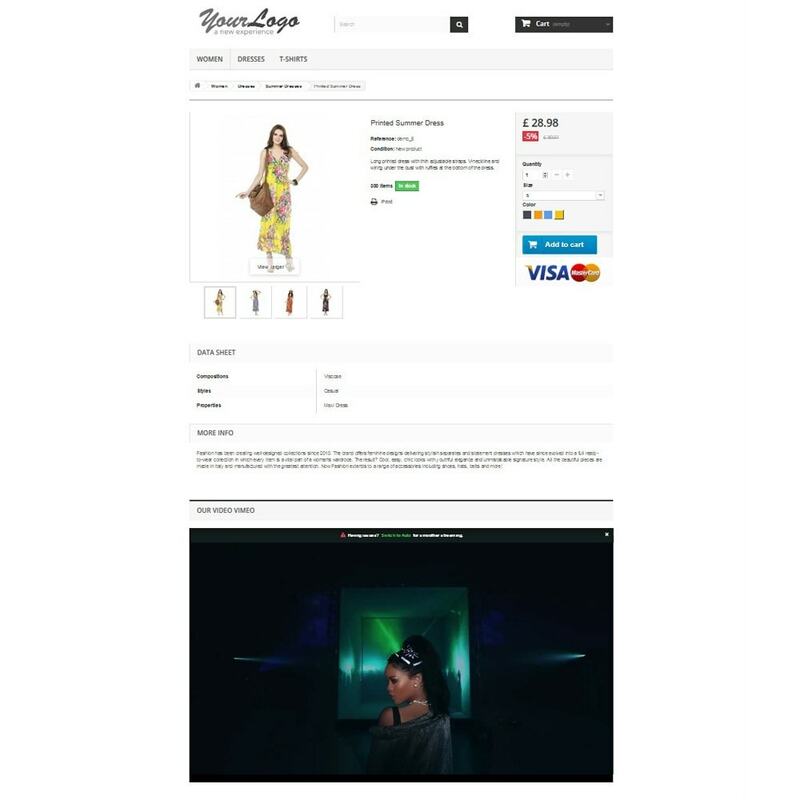 Hook position for product pages, home page, left and right column. Change width and height of video for any hook position. Vimeo HTML5 video player support. Enables or disables pausing this video when another video is played. Play the video automatically on load. Enables or disables the badge on the video. Show the user’s byline on the video. Specify the color of the video controls. Play the video again when it reaches the end. Show the user’s portrait on the video. Show the title on the video. Compatiblility (IE8+, Firefox, Opera, Safari,Chrome).